Most of Djibouti’s population lives in the cities. The pastoral farmers of the remote rural areas face drought and food insecurity, so many of them migrate to the cities. But urban unemployment and poverty levels are extremely high, too. Many children are thus deprived of the childhood they deserve. In Djibouti’s remote rural areas, food insecurity marks the lives of many families Children from the neighbourhood near the future children’s village (photo: SOS archives) Tadjourah is a small port city of around 15,000 inhabitants and is the capital of Tadjourah Region. 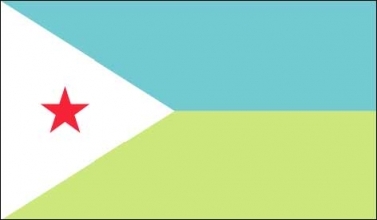 The region is sparsely populated as the majority of the population lives in the capital of Djibouti. Most people here are pastoral farmers and their lives are fraught with difficulties: drought and the high prices of staple foods have led to acute levels of malnutrition, particularly in children and pregnant women. Food insecurity is one of the greatest day-to-day challenges the local population faces. SOS Children’s Villages chose Tadjourah as the location for the first children’s village in Djibouti due to the great need for assistance – most development aid goes to Djibouti City, but the rural population urgently needs support. Extreme poverty, unemployment, low education levels, droughts and the scarcity of arable land threaten the food security of the population. Up to 48 per cent of people in rural areas do not have access to improved drinking water sources, and at least 30 per cent resort to drinking from unsafe sources that do not conform to minimum sanitary requirements. S ome people have to travel up to 30 kilometres in one day to collect safe drinking water. Many children, particularly girls, drop out of school because they are busy fetching water. Women often suffer from a lack of privacy and need to walk long distances when appropriate neighbourhood toilets are not available. Extreme poverty deprives many children of a safe and nurturing childhood In Tadjourah City, the majority of the population lives on less than one US dollar a day. There is no notable industry here, and hence few opportunities for employment. As the population grows – it has tripled in the last 20 years – more and more young people will be looking for jobs. In rural areas, education facilities are severely lacking, so students have to come to Tadjourah City to study beyond primary level. In many cases, the yearly tuition fees of up to 75 euros make it impossible for children to attend secondary school. Although children without parental care are exempt from school fees, only 31 per cent of them attend school regularly. Girls are particularly at a disadvantage when it comes to education as their help in the home and with younger siblings is often considered more important than their education. About 70 per cent of the total population is illiterate, of which 85 per cent are women. Djibouti’s orphaned and vulnerable children, especially those affected by HIV/AIDS, face increasingly difficult circumstances. Although medicine is subsidised and affordable to most people, the local pharmacy often runs out of medicine, there is a shortage of staff at the local hospital, and many areas are so remote that very ill people cannot be taken to hospital. Basic knowledge on healthy nutrition, hygiene and measures to prevent the most common diseases, such as respiratory and diarrheal diseases in children, is also severely lacking. What we do in Tadjourah Children from the neighbourhood near the future children’s village (photo: SOS archives) SOS Children’s Villages began construction of the first children’s village in Djibouti in 2011, in the small town of Tadjourah. An important aspect of the work we plan to do here will be the SOS Family Strengthening Programme, which will reach out to struggling families in the region with the aim of identifying vulnerable children and providing support. Many children are at-risk of losing the care of their parents or of having to drop out of school and go out to work due to the precarious conditions their families live in. We want to empower families to become self-sufficient, for example by offering guidance on income-generating skills and parenting practices, and ensure that children will have access to essential health, education and nutritional services. For children from Tadjourah who are no longer able to live with their parents, ten SOS families will provide a loving home for up to 100 children. In each family, the children live with their brothers and sisters, affectionately cared for by their SOS mother. To ensure that children living in SOS families are integrated into their local community from a young age, they will attend the SOS Kindergarten together with children from the neighbourhood and the family strengthening programme. Here, the children will also receive nutritious meals, psychological support and basic medical care.